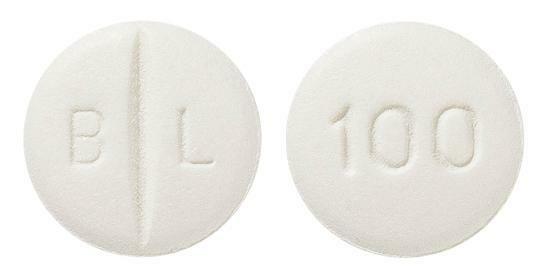 Hypertension: as monotherapy or for use in combination with other antihypertensives.,Angina pectoris: for long-term prophylaxis. Glyceryl trinitrate should be employed if necessary for alleviating acute attacks.,Confirmed or suspected myocardial infarction.,Prevention of migraine. 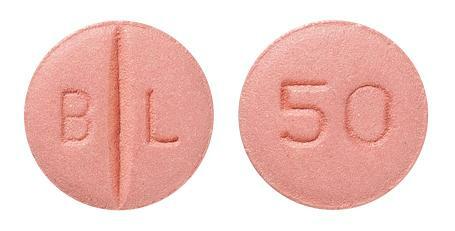 Pink, round, biconvex film-coated tablets with 'B' & 'L' separated by notch break line on one side and '50' debossed on other side. Essential tremor is a neurological disorder characterised by involuntary twitching of the arms. It causes social and functional impairment.